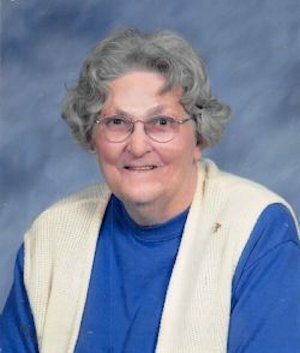 Obituary – Nolte, Betty Jean (Bolay) « Perry High School Alumni Association, Inc.
Betty Jean Nolte, age 84 of Perry, Oklahoma died Saturday, January 23, 2016 at the Integris Baptist Health Center in Oklahoma City, Oklahoma. Funeral Services will be held at 1:00 p.m., Tuesday, January 26, 2016 at the Christ Lutheran Church, Perry, Oklahoma with the Rev. William Metz officiating. Burial will follow in the Grace Hill Cemetery under the direction of the Brown-Dugger Funeral Home. Betty Jean Nolte was born March 1, 1931 in Enid, Oklahoma to Clarence Andrew and Gertrude Viola (Linden) Bolay. Betty grew up in Perry, Oklahoma and graduated from Perry High school. Betty also attended Northern Oklahoma Junior College. On March 4, 1951 Betty married Henry Theador Nolte in Perry, Oklahoma where the couple made their home. Henry preceded her in death on March 26, 2006. Betty was a homemaker and was owner operator of Noltes Books & Ceramics. 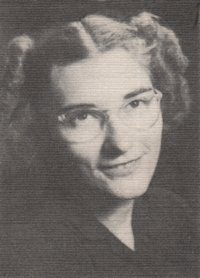 She was a member of the Christ Lutheran Church and served as Sunday School Teacher, youth leader, choir, womens group. Betty served as voter election counter and judge. She started the Senior Citizens Group in Perry, Oklahoma. Survivors include two sons Paul David Nolte of Perry, Mark Allan Nolte of Warsaw, Missouri; two daughters Faith Ann Sinclair and Mary Jo Houghton both of Perry, Oklahoma; one brother Derrold L. Bolay of Red Rock, Oklahoma; two sisters Joann McCoulgh of Trophy Club, Texas and Linda Gail Warner of Big Springs, Texas; ten grandchildren and 15 great grandchildren.